Would you care for a Ramnut? Yes, it looks like food mash-ups are still a thing. 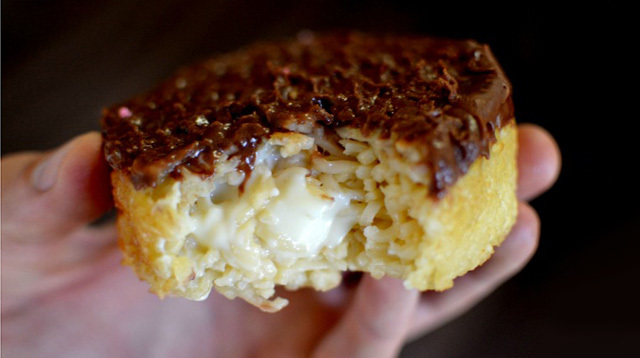 The latest concoction that may or may not become the next craze: the Ramunt, a hybrid between ramen noodles and a donut. Josh Scherer of Culinary Bro-Down shared his latest materpiece on his blog and reassured his readers that this idea is not joke. “I’m incredibly serious about this sh*t,” he wrote. He even provided a recipe to prove how serious he was. So, are you up for a weekend project, CGs? Let us know how your Ramnuts turn out!